How do I automatically add sectors? 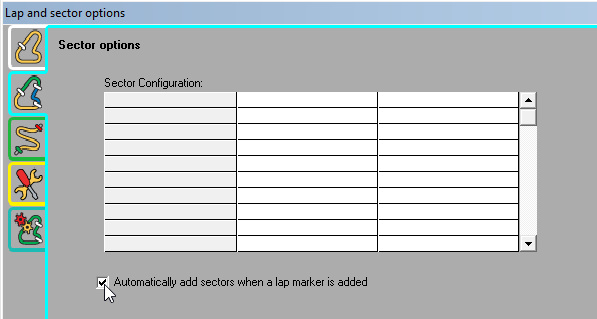 Step 1: Enter the Data menu in the top left hand corner of the screen, and select the "Laps and Sector Options"
Step 2: This will bring up a window. 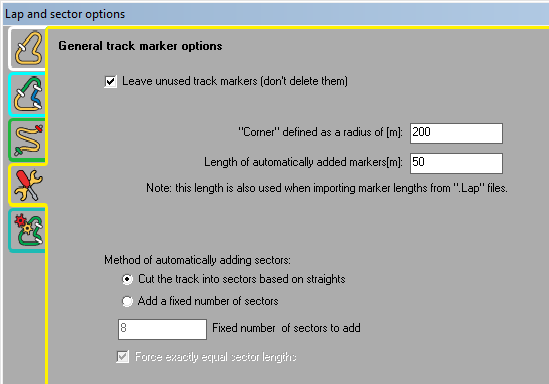 Click on the "General track marker options" tab. You will now be able to adjust the way that the markers are laid down, to meet your own requirements and click "Ok". Step 3: Now click on the "Sector options" tab. 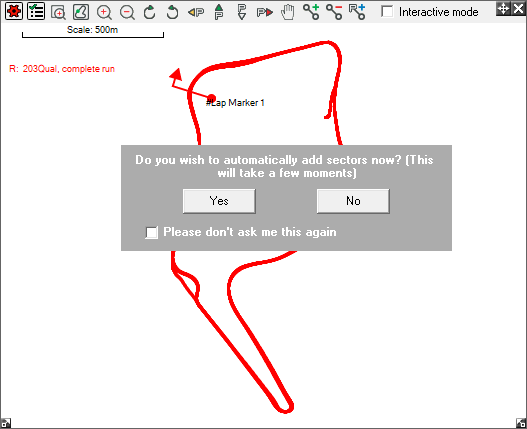 Enable "Automatically add sectors when a lap marker is added" if not enabled and press "Ok". 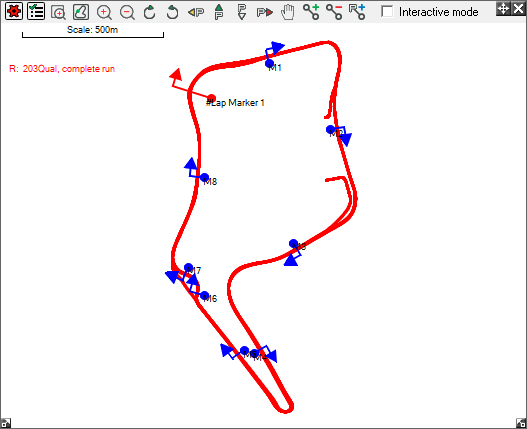 Step 4: Now open a Track map window and add a lap marker to the track map and you will be asked whether to add sectors automatically. Click "Yes" and then the sector markers will be added to the track map.